15 July 1954: At 2:14 p.m., Boeing test pilots Alvin M. "Tex" Johnston and Richard L. "Dix" Loesch lifted off from Renton Field, south of Seattle, Washington, on the first flight of the Boeing 367-80, FAA registration N70700, a prototype military air tanker C-135 and commercial airliner B-707. For the next 2 hours, 24 minutes they performed high and lowspeed handling tests before landing at Boeing Field, Seattle. When Johnston was asked how the "Dash 80" flew, he replied, "She flew like a bird, only faster." The Boeing 367-80 now resides in the Aviation Hangar room at Steven F. Udvar-Hazy Center in Chantilly, VA. The 707 Prototype that was referred to as the Dash 80. This airplane was going to shrink the world by a factor of two. Boeing attempted to keep the project under wraps by referring to it as the "Dash 80". The prototype had several differences from the final version. 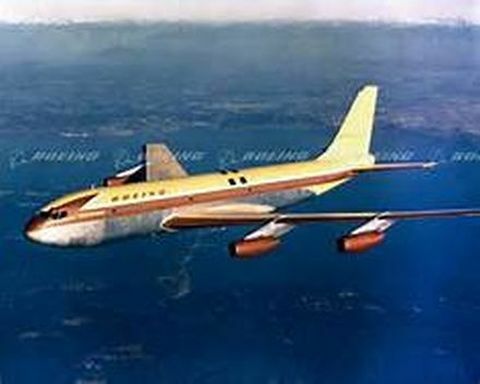 Original 707 cost $16 Million, the last one cost more than $120 million. This maneuver became world famous and sold airplanes. 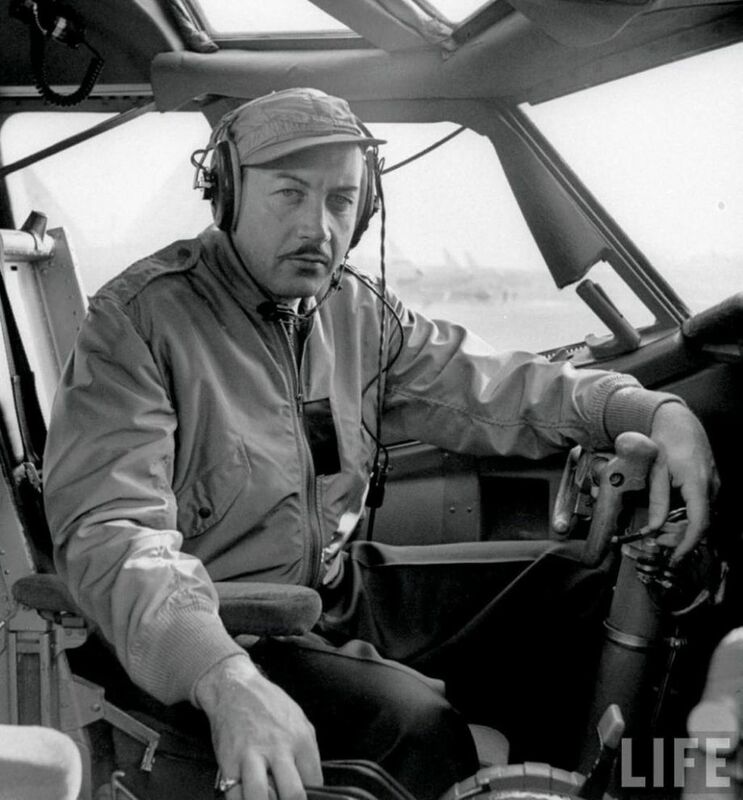 Alvin Melvin "Tex" Johnston rolled the airplane twice during fly by demonstrations for the airline presidents. Became known as the "GOLD CUP ROLL". 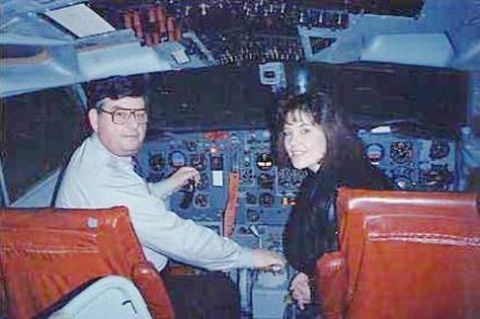 After being stored in the desert for 18 years the "Dash 80" was ferried back to Seattle by Jerry White and restored by Boeing volunteer employees. 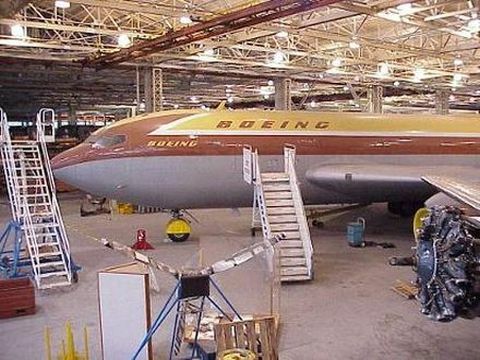 Boeing later donated the airplane to the Smithsonian. The Dash 80 cockpit at Boeing's Seattle facility with my daughter, Julie. A nice trip into the past of airline history. This airplane was a big gamble for Boeing, it paid off and changed the airline business forever. 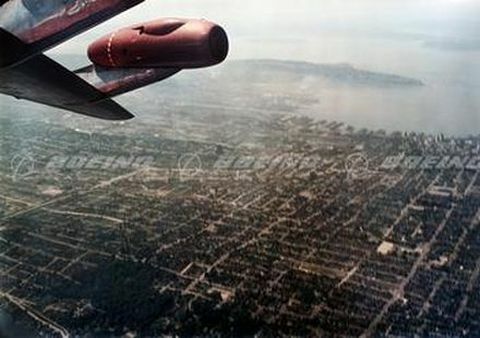 The Dash 80 in flight over Seattle during the development and testing phase. Several other Boeing models were produced using this basic design. Boeing built 1,820 of the various 707 models over 30 plus years. The Boeing 367-80 (Boeing 707) was Boeings very risky and expensive program to develop a jet transport for the airline market. The knowledge gained from programs like the B-47 and B-52 gave Boeing a sort of head start. In an attempt to keep the project secret they tagged the airplane the 367-80 and commonly referred to it in house as the "Dash 80". The prototype did not have leading edge devices and the fuselage had a tunnel between the front and rear compartments. The Flight Engineer panel was attached with piano hinge and could be rotated 90° then dead bolted in place so the Captain and First Officer were then able to operate the engineer panel switches. Boeing hosted a group of airline Presidents and other aviation officials during the Gold Cup boat races. A decision was made by Boeing President Bill Allen to have the flight test crew perform a fly by in the Dash 80 to answer industry rumors about an amazing new airplane being developed by the Boeing Commercial Airplane Company. Boeing production test pilot Alvin Melvin "Tex" Johnston made a low level pass in full view of the group. He decided to do a barrel roll to show off the airplane capabilities. He then turned around and made another pass in the opposite direction. He rolled the airplane again in full view of the group which eliminated any question or doubt about the first roll. The famous photograph taken by an engineer, who was on board the Dash 80 with a camera, left no doubt about the airplane being inverted. The maneuver became known as the "GOLD CUP ROLL". It was impressive and probably sold several airplanes that weekend, the exhibition likely caused "Tex" Johnston some personal issues since one shouldn't do this in front of the Boeing company President and the FAA Administrator. Following the introduction of the 707 all of a sudden the Lockheed Constellation, Douglas DC series and other reciprocating engine airliners were out of favor with the public and airline management. Air travel hasn't been the same in the sixty odd years since the Boeing 707 was introduced into scheduled service. 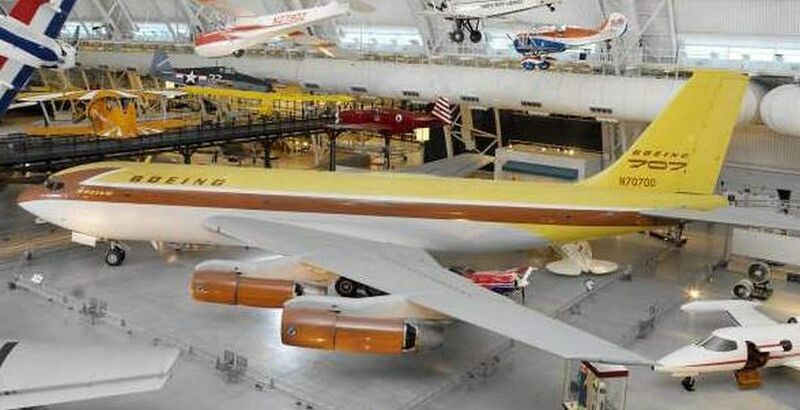 Boeing built 1,820 of the 707. Boeing produced several other models of two, three and four engine jet transports including the 727, 737, 747, 757, 767, 777 and 787 using and building on technology gained from the original 707 program. This new generation of airplanes made a major difference in airlines like our own USAir as the 727, 737-200/300/400, 757-200 and 767-200ER became the mainstay of our USAir fleet thanks to Mr. Colodny and Mr. Schofield.